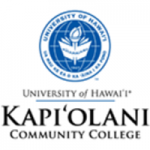 Established in 1946 as Kapiolani Technical College, Kapiolani Community College focuses on a cross-cultural emphasis on innovation and diversity. It has a thriving study abroad program and customized contract training as well as a unique learning environment. Kapiolani transfers the largest number of students to four-year universities among all UH community colleges each year. It offers a unique “dual admission” program which allows highly qualified students to be enrolled at Kapiolani Community College and University of Hawaii Mānoa simultaneously. The Science, Technology, Engineering, Mathematics Program is the only full-time program of its sort in the University of Hawaii community college system that prepare students for their career. Kapiolani also specialises in Culinary Arts and Health Education.